Saturday April 18th Butcher Bob and I went to Vancouver for Model Fest (also know as the Northwest NNL). It used to be in Portland Oregon but they moved it across the river to the Washington side. It was at the Red Lion and that was a great place for it. Huge number of venders there and close to 300 models, that's a guess on my part. Bob and I didn't enter anything this year. Neither one of us had anything new to show. Next year we will be there in full force. I did by my normal 10 dollars worth of raffle tickets. I think it's the least I can do to support the club. That is 20 tickets. With those 20 tickets I won 8 kits. Well seven kits but one is a double truck kit with 2 models in it. here are the kits I won. It was agreat show. The Theme this year was "Long Roofs" so you will see lots of Station Wagons and Sedan Deliveries. I wish I had been thinking ahead instead of having second thoughts, I would have pulled Son Of A Beach out of the Museum and entered it for Clay. I think it would have been a hands down winner. next year the Theme is "Tri-Fives" so any thing built from 1955 to 1957 is good to go. Gonna be ready next year. Enjoy all comments and questions are welcome. When you take fotos, you bring us all along to these shows. THANK YOU! 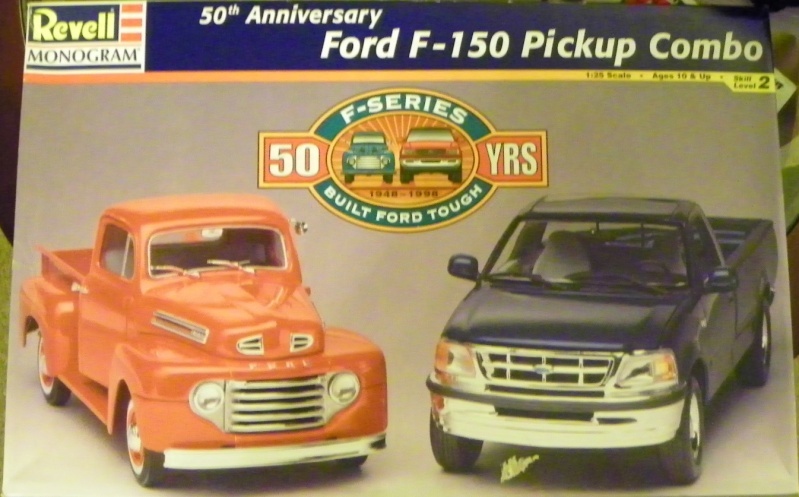 Many great models, from race cars to customs to rat rods. Excellent! Fave? Maybe for creativity, p. 8 red '51 Chevy woody wagon. Endurance race cars the choice for realism. Wow 8 kits for $10?? ?